rapt audience members learn about DNA from Jennifer Zinck. Photo courtesy of Linda MacIver. Genealogical societies are challenged today with the declining membership of old gray heads like mine. The challenges we face include the rise of DNA, and the rise of the webinar and podcast. We’ve got mentorship, experience, friendship, and a regular reason to get out of bed on a Saturday morning and see other people face-to-face. How do we sell our society’s wonderful positives? The speakers for the Wednesday Society Management Day are presenting ideas in four areas of proven excellence. 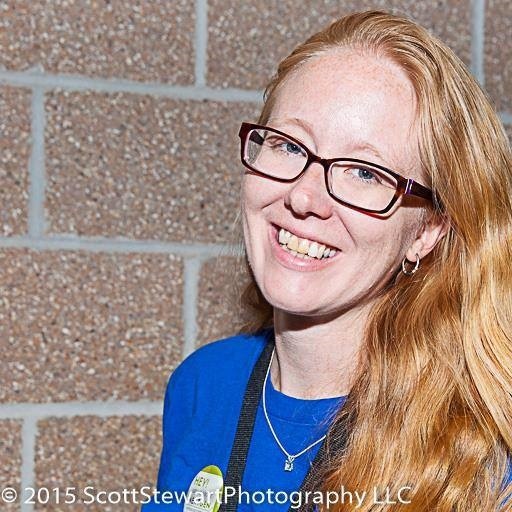 · 9:30 a.m. – 10:30 a.m. – Kelli Jo Bergheimer, “How Do We Start a DNA Interest Group?” Have you thought about starting any type of Interest Group for your society? Come and learn tips to build a successful program. 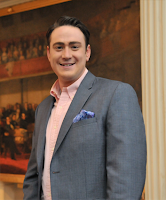 · 10:45 a.m. – 11:45 a.m. – D. Joshua Taylor, “Creating, Packing, and Sharing Your Society to Non-Genealogists” (Speaker sponsored by NYG&BS). This session will discuss ideas and tools to assist you in introducing your genealogical society to your local community – especially for those who have little or no expressed interest in genealogy. 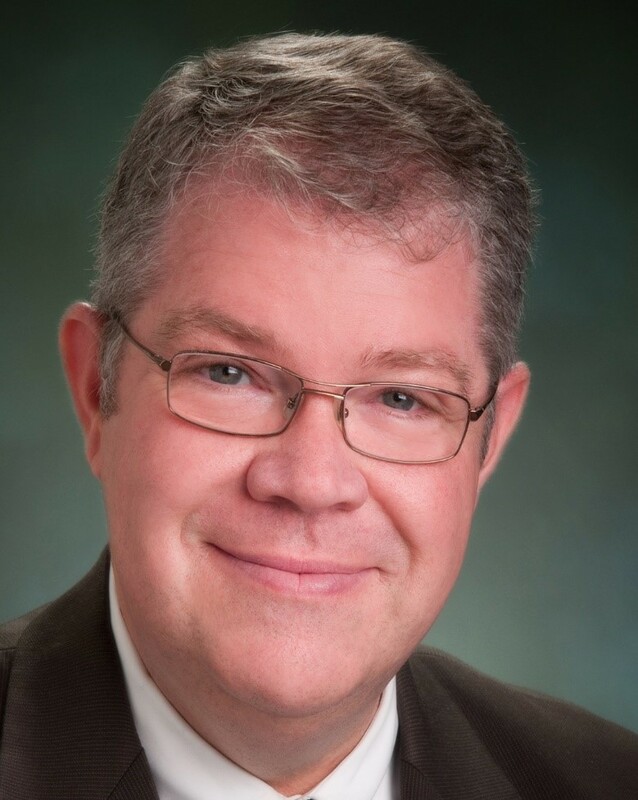 · 1:30 p.m. – 2:30 p.m. – Daniel H. Earl, “The Next Generation: Involving Youth in Your Society.” Who will be around to run your society in 25 years? This lecture will look at how to involve the next generation. · 2:45 p.m. – 3:45 p.m. – Jen Baldwin, “The Social Media Manager in Today’s Society.” What – exactly – is a social media manager and does your society need one? This is a growing professional field, and societies can learn to convert the position to assist your non-profit organization, and greatly expand your reach on social media. I caught up with two of our speakers to learn how the success of these ideas and techniques affected their societies. Dan Earl was the first to get back to me. He had a success story of his own. A society at which I have spoken, was in need of someone to help them with their society's Facebook page. They announced their needs at a meeting where the topic was DNA (which tends to bring in more people), a young millennial (about 22) spoke up and said that she'd be willing to help with the Facebook page, and has been doing a great job. By waiting to announce their needs at a meeting where 'fresh blood' would be attending, they were able to draw in more people. With their new social media director, they've been able to use Facebook and other social media to reach out to younger people and the average age of their society has dropped from 70 to 50 in less than a year. Dan also pointed out that we can get young people involved in genealogy from the get-go. He shared a success story involving his daughter’s second grade class. My daughter's second grade class was having a "culture week" where families could come in and talk about their culture. My daughter asked me if I could come and talk about Hungary (where my maternal grandmother is from). I of course agreed. My daughter said that some of the other parents (from Ghana, Italy, Greece, England) brought in food. Not to be outdone, I asked my daughter if she'd like to help me make some Hungarian cookies. She of course, agreed. We spend a couple of hours talking about her ancestors from Hungary and making cookies. When the time came for the presentation in class, she was very excited to share the cookies with her class and help me explain her family tree (that she insisted I include in the presentation because she thought it was 'so cool'). 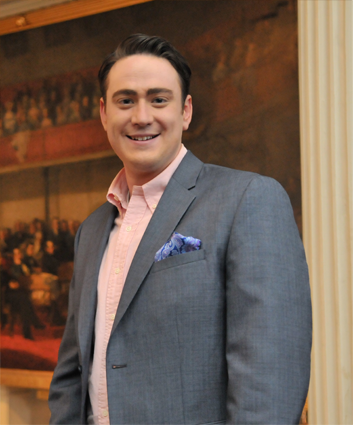 Josh Taylor was the next to share his success story. Josh is busy right now with bringing the society he directs, the New York Biographical and Genealogical Society, to the RootsTech exhibit floor in Salt Lake City. The need for genealogical societies to be alert and remain in touch with their community is key. When the NYG&B became aware of the proposed restrictions to New York City's birth and death records in 2017 we worked hard to spread the message beyond our community. 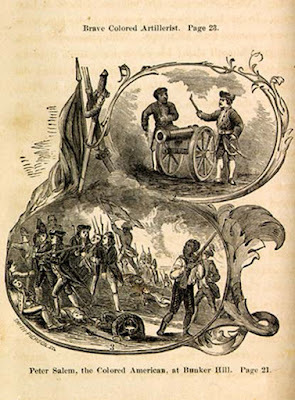 The situation required us to work with other organizations, which included fellow genealogical societies, commercial entities, historical societies, lineage organizations, museums, and others. The result was the development of new alliances and relationships that have continued to this day. 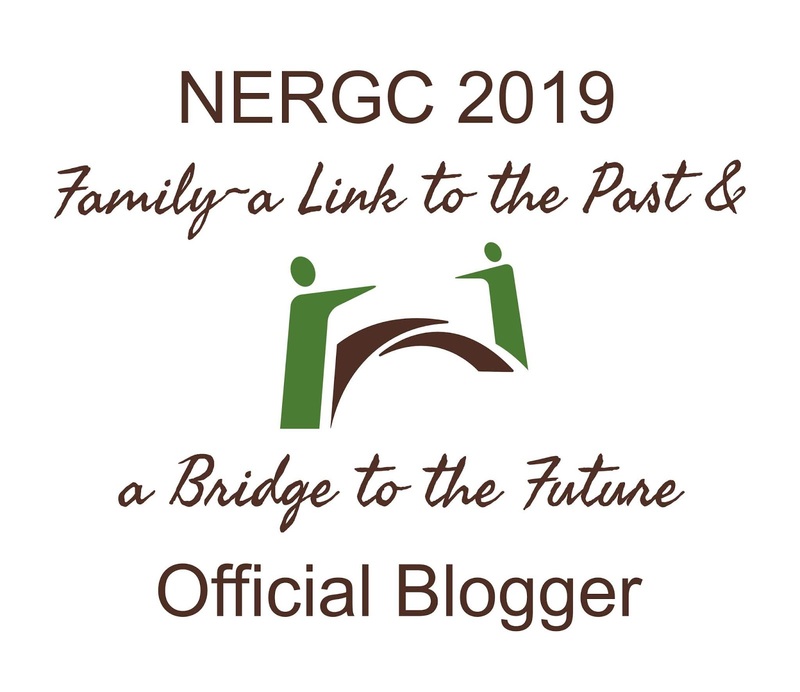 In my session at NERGC, I will be speaking specifically about working to brand your organization to those outside of the genealogical community, a key aspect of responding to threats to records access, increasing membership, and further establishing the relevance of any genealogical organization. It only happens once every two years. 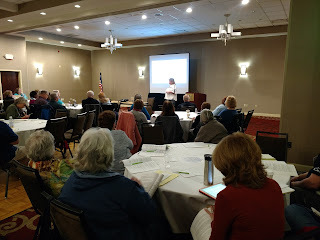 It takes two dozen genealogy societies, acting in tandem, to put on the NERGC conference, an event with as many genealogy learning opportunities as a national genealogy conference. But NERGC is always in New England, often close enough for many of us to commute rather than incur the travel and hotel expenses that come with the national conferences. 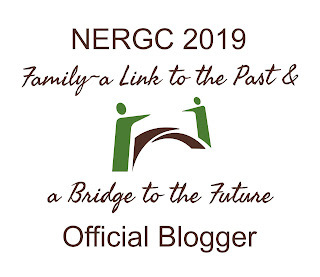 NERGC 2019 runs April 3rd to 6th in Manchester, New Hampshire. My specialty is New England research in the colonial period, specifically Connecticut and Massachusetts. About 25% of my ancestors come from that time and place. (The other 75% are Swedish, Danish, English, Irish, Scottish, and Belgian, with a tiny bit of Spanish.) That small quarter of my heritage has been a huge research task with many years invested in tracing people back. It’s such a great opportunity to talk with Warren Bittner, one of the best speakers on doing genealogy better. The first time I heard Warren speak, he talked about the importance of source citation. If anyone in that auditorium wasn’t already using source citations, they were by the time Warren finished. NERGC 2017 provides five wonderful opportunities to share Warren again. Friday afternoon he speaks twice, “Writing to Engage Your Reader,” and “Complex Evidence: What It Is, How It Works, And Why It Matters” (one of the best speeches ever! Anywhere! I reviewed it here). Warren, you are one of the best evangelists I know for putting quality into our genealogy work – the focus of my own blog. How did this become a focus of your own work? Well, I had an interesting experience where I had been doing research for about 20 years, professional research for 7 or 8, and thought I knew a lot about genealogy. I hadn’t read the National Quarterly because when I looked at the articles they didn’t interest me. They were about people I wasn’t related to and geographic areas where I didn’t do research. Then I read a few articles, and every article I read amazed me at the quality of the research and the depth of the methodology in solving difficult problems. I can honestly say my genealogy education started the day I started reading the National Genealogical Society Quarterly (NGSQ), and the quality of the research that I saw demonstrated in the articles published there made me realize how sophomoric and uninformed my own research was. After that I went back and read 20 years of the Quarterly and learned how the best genealogists think and how they solve the most difficult research problems. It also took the quality of my own research up ten steps. I hear you have a master’s degree in history. How did your history major and your love for genealogy enrich each other? I was considering becoming a CG or an AG and then I realized that professional licensure as a genealogist was recognized in the relatively small world of serious genealogical researchers, but a Master’s degree is universally recognized. So I made the decision to get my Master’s degree before I went after licensure. It was a good decision because my history degree introduced me to a broad spectrum of historical concepts that I didn’t realize and that I didn’t understand. Concepts like how to read beneath a document to unearth what the document is telling me about the people in the historical document and the people that wrote it down. I learned about micro-history, where an in-depth study of an otherwise insignificant person or event can be used to turn upside-down generalizations made in histories of a broader scope. 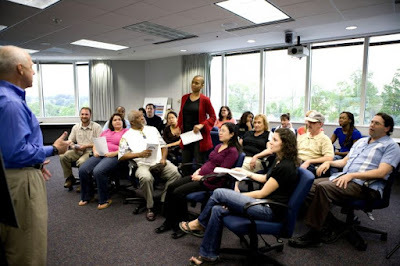 What is your favorite part about teaching and lecturing? I enjoy seeing the light that comes into the eyes of my students when I see that they are learning something in the lecture, and the hope that comes onto their faces as the mental wheels begin to turn and they see ways of looking for the ancestors they have almost given up on. 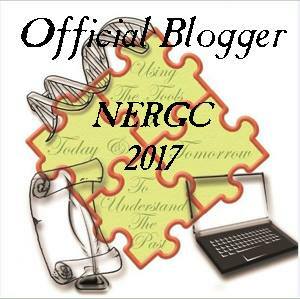 The Demanding Genealogist is proud to be an official blogger of NERGC 2017. Photograph placed in the public domain by Cade Martin, Dawn Arlotta, USCDCP. Face it, many genealogical societies are aging, growing grayer, and seeing fewer people at their monthly meetings. My beloved Welles Family Association filled hotel meeting rooms with 80 to 100 attendees in the 1980s. Now we see about two dozen at each annual meeting. How can we reverse this trend? How can we who have been leading genealogy societies for decades ensure that our societies thrive in the future? For those of us committed to ensuring that our societies thrive long after we retire from leadership, this special track at NERGC is perfect. I spoke (that is, emailed) with the three presenters for Society Management Day at NERGC 2017. I wanted to give them an opportunity to share their enthusiasm for the future with us. Jen Baldwin, “Connecting with the Next Generation: Join the Conversation!" Me: Jen, the next generation is our own children, but meeting them as a group of genealogists is a new thing. What are some of the new ways of finding our audiences that you will cover? 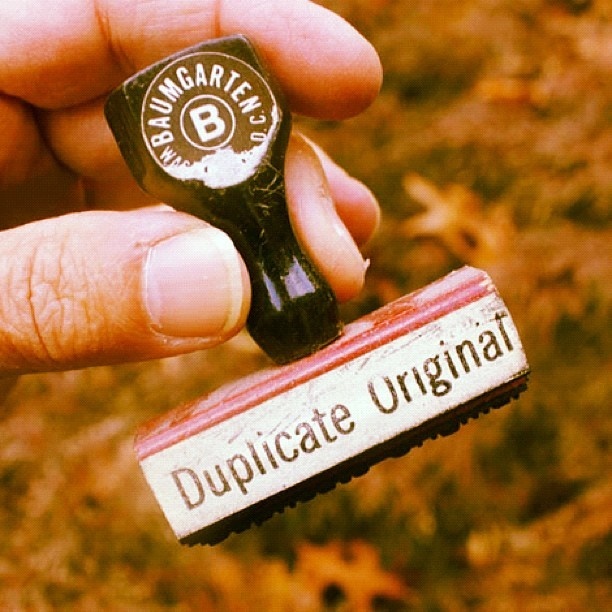 What is a duplicate original? And what does it have to do with the U.S. census? uploaded to flickr, used with permission. “Duplicate original” is a legal term that applies to two or more copies made simultaneously, each of which can stand as the original document. When two written documents are substantially alike, so that each might be a copy or transcript from the other, while both stand on the same footing as original instruments, they are called “duplicates.” Agreements, deeds, and other documents are frequently executed in duplicate, in order that each party may have an original in his possession. We are already familiar with this concept from our everyday lives. Speakers at genealogy conferences sign two copies of their speaker contracts, one for themselves and one for the conference program chair. When we get divorced, both we and our spouses receive copies of the separation agreements and the divorce decree. Is this legal term used in the same way in the world of genealogy? Essentially the answer to that question is yes. The definition by Elizabeth Shown Mills includes some examples. Duplicate original: a copy officially made at the same time as the “original.” Examples: The grantor’s and grantee’s copies of a deed, simultaneously made; or the multiple copies of a census schedule that enumerators were required to make in certain years. Today in the Boston University Genealogical Research Certificate course, instructor Julie Michutka and lead course facilitator Michelle Goodrum posted that duplicate original copies of the U.S. census were made only in certain years and not others. Both noted that, beginning with the 1890 census, only one copy was made, the copy sent to the federal government. They supplied a link to the U.S. Census website discussing pertinent legislation. It’s a pity that the 1890 U.S. census was the first to exist in only one copy, because that copy was for the most part burned in 1921. Barbara Jean Mathews, "What is a duplicate original? And what does it have to do with the U.S. census?" The Demanding Genealogist, posted 22 March 2016; http://blog.demandinggenealogist.com/2016/03/what-is-a-duplicate-original.html : <date accessed>. Henry Campbell Black, A Law Dictionary Containing the Definitions of the Terms and Phrases of American and English Jurisprudence, Ancient and Modern, …, Second Edition (St. Paul, Minn. : West, 1910), 403, “duplicate;” Google Books (https://books.google.com/books?id=R2c8AAAAIAAJ : accessed 22 March 2016). Elizabeth Shown Mills, Evidence Explained, Citing History Sources from Artifacts to Cyberspace (Baltimore: Genealogical Publishing, 2015), 822, “duplicate original.” For an in-depth discussion, see also Elizabeth Shown Mills, “QuickLesson 10: Original Records, Image Copies, and Derivatives,” Evidence Explained: Historical Analysis, Citation & Source Usage (https://www.evidenceexplained.com/content/quicklesson-10-original-records-image-copies-and-derivatives : accessed 22 March 2016). United States Census Bureau, “Legislation: 1830-1899,” History (http://www.census.gov/history/www/reference/legislation/legislation_1830_-_1899.html : accessed 22 March 2016). Kellee Blake, “'First in the Path of the Firemen:’ The Fate of the 1890 Population Census, Part 1,” Prologue Magazine selected articles, from 28 (Spring 1996), posted on National Archives (http://www.archives.gov/publications/prologue/1996/spring/1890-census-1.html : accessed 22 March 2016).